Educational webinar featuring registered dietitians that identify, or are certified as, as Intuitive Eating and Health at Every Size (HAES) experts. A how-to guide for any RD or RD2Be looking to adopt this approach to their nutrition career. 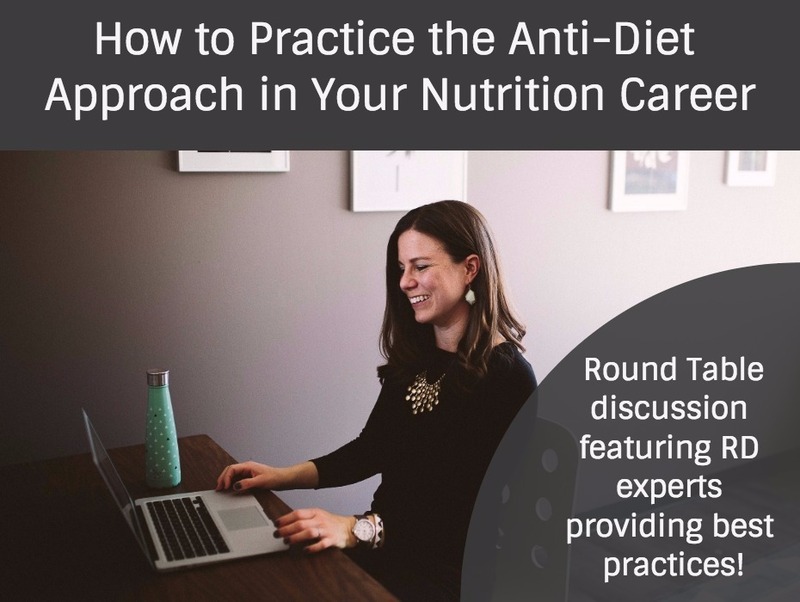 A webinar full of tips and guidance from RD experts that have incorporated intuitive eating and the HAES philosophy into their nutrition careers. Includes access to the recorded webinar and accompanying 15 page workbook with resources, references, and tips. Heather Caplan hosts the weekly podcast, RD Real Talk. In this shop, you'll find webinars featuring experts in Women's Health, Intuitive Eating, and the non-diet approach to nutrition. Heather offers mentoring and nutrition coaching services as well, through her Washington DC-based private practice.